A unique collection of scientifically based natural food supplements. Four super foods squeezed into a capsule. 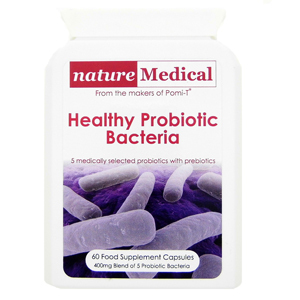 Five medically selected probiotics with probiotics. 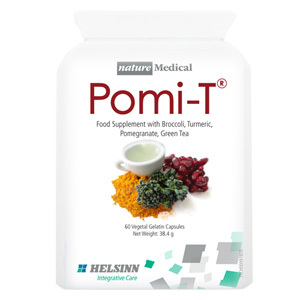 Nature Medical Ltd is the developer of the unique polyphenol rich food supplement Pomi-T®. Nature Medical supplements are produced by a long established EU manufacturer under strict high quality assurance conditions. The supplements are compliant with all UK, EU and International standards. All of our supplements are tested in a major UK government supported randomised trial.